Most upmarket foodie places — especially independent ones — hardly have any words on their menus, blackboards and products. When they do put pen to paper, the words are usually pretty plain and functional. 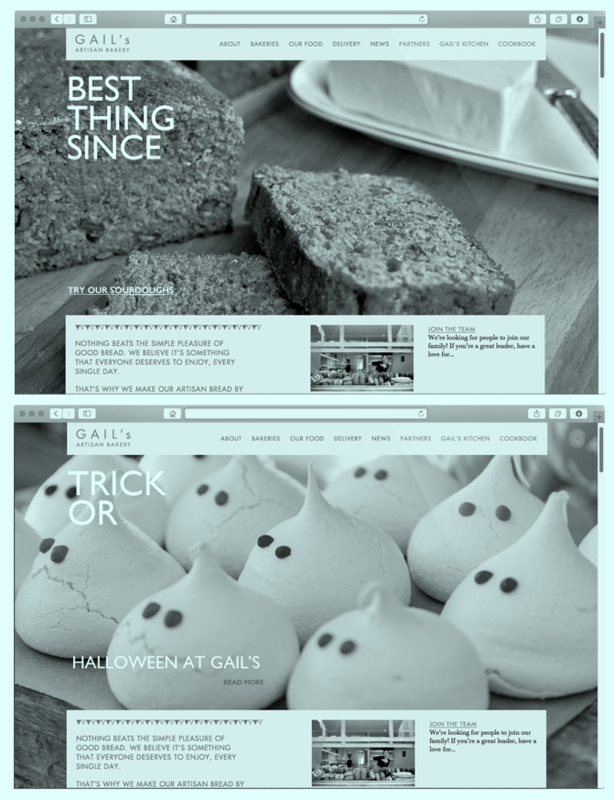 That’s the nub of the conundrum we faced with Gail’s Bakery. They wanted to promote the things they bake. But how to do that without the words ending up ‘plain’, clichéd (like ‘freshly baked’, which everyone from Tesco’s to Gregg’s uses) or over-done and marketing-y (they didn’t want to sound like a big chain because they’re not)? Answer: editing. 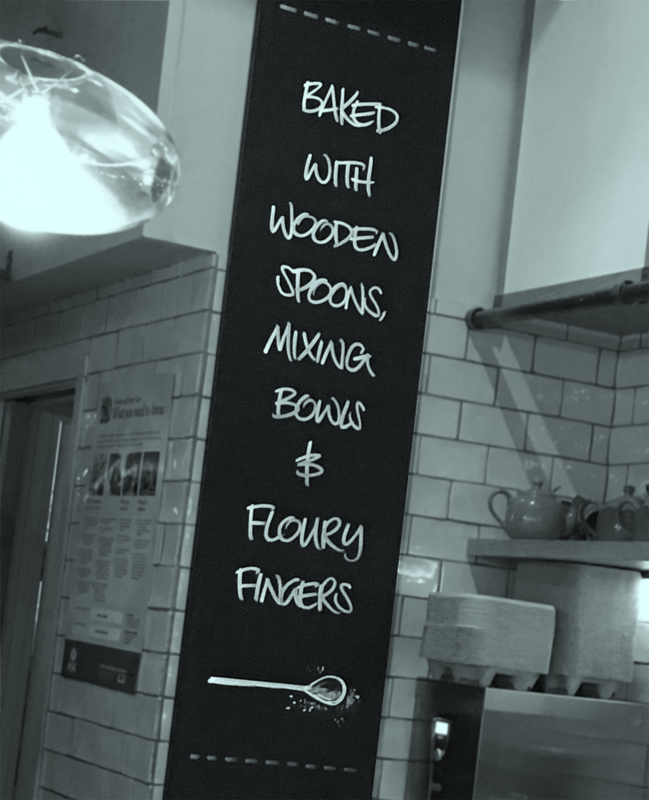 When we wrote words for Gail’s blackboards and A-boards, we wanted them to sound a bit like someone from the team had written them that morning. Making words feel effortless – but still interesting – takes time. 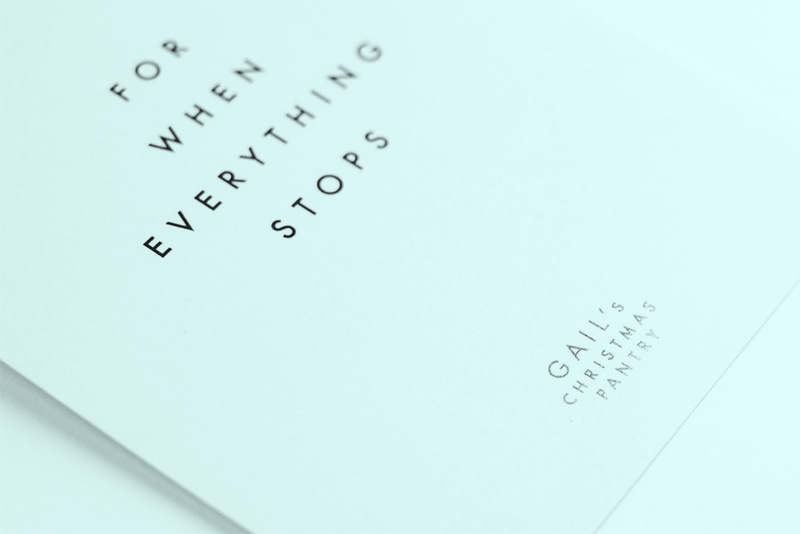 Our words do a branding job for Gail’s too. 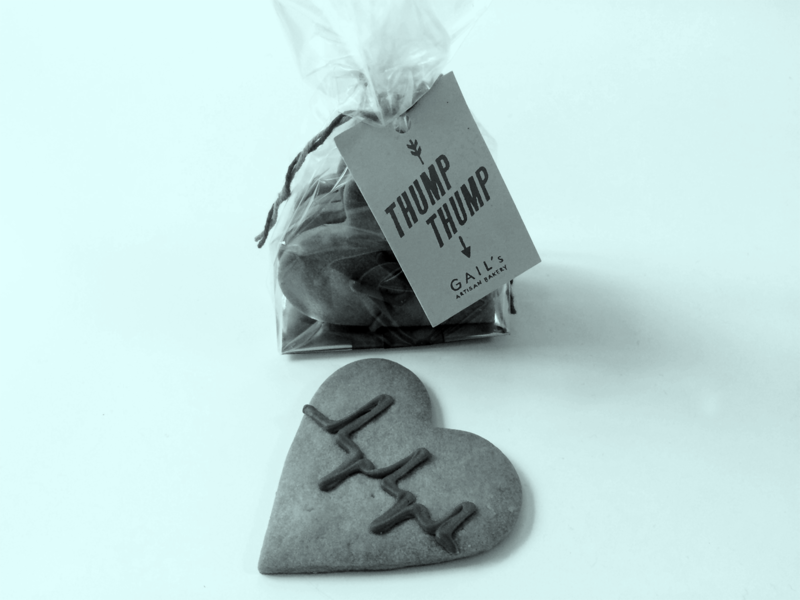 We want each bakery’s locals to feel like they’ve only been written for their neighbourhood bakery. 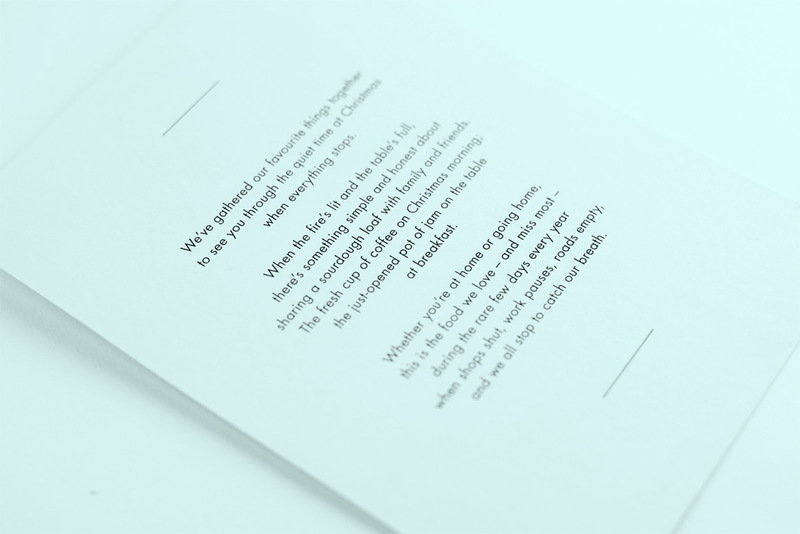 We’ve penned the words for many Christmases past. 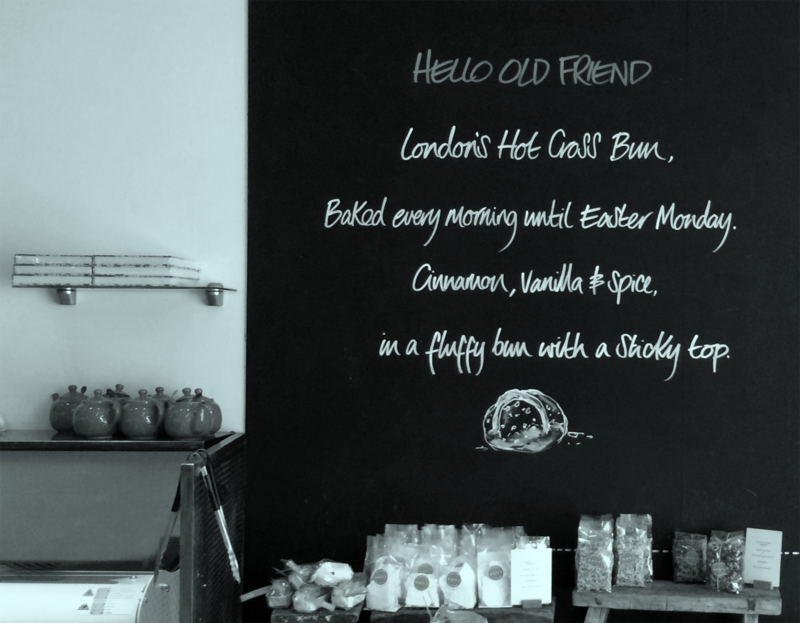 …and to promote seasonal treats like hot cross buns at Easter. We also inherited a wordy fill-in-the-gaps ‘best thing since sliced…’ device (which we love) and found ways to add to it.